It is no more news that Bitcoin and other cryptos are now gaining more momentum because governments are seeing its benefits. Sydney Ifergan – the founder of The Currency Analytics, noted that Bitcoin is seen to have the potential to pay their debts. Governments can easily force banks to produce more of their money just to settle debts. This, in turn, will increase the cash in circulation thus lowering its worth over time. In an article on The Currency Analytics, it was noted that Bitcoin, on the other hand, cannot be produced this way. It cannot just be produced by the decision of a centralized government. It is decentralized thus, it resists inflation. ->1,000 USD will probably be worth less than 800 USD due to inflation. ->1,000 USD of BTC, will probably be worth more than 100,000 USD due to store of value, trust, independence, etc. The truth is that cryptocurrency and the blockchain carry potentials that can easily change the course of history. Governments are starting to understand the effectiveness of cryptocurrency as pivotal to settling debts. Therefore, speculations about some interesting applications of the same that may be taken up in the next few years will be good. The nature of the blockchain technology allows for transparency while hiding the identity of the player -Pseudo-anonymity. This can be a great addition for governments in the voting system. With blockchain technology, citizens of a country can have their votes recorded on the blockchain where it cannot be altered. With blockchain IoT as designed by XinFin for example, Voting Cards can be designed as a citizen’s signature or identity. XinFin’s Tradefinex has prepared a platform for governments to boost their trade and finance sector. They can use the platform to connect with financiers to facilitate trades or with multiple investors through bonds. It will be no surprise if in the nearest future this kind of innovation becomes mainstream. This is not futuristic as the land Registry, Government of Maharashtra, India is already adopting XinFin’s blockchain solution. Each landowner can be registered on a private blockchain. Since the blockchain is immutable, each land portion can be attached to its owner’s identity. Furthermore, the information will not be accessible to all because it will be on a private blockchain. The energy sector can really use the blockchain in helping to reduce the loss in transmission. Recording consumer usage on an immutable blockchain will increase transparency and cut a lot of wasted funds. There are many other areas cryptocurrency and the blockchain can help governments all over the world. It only takes adoption and there will be endless applications to ease government’s work. 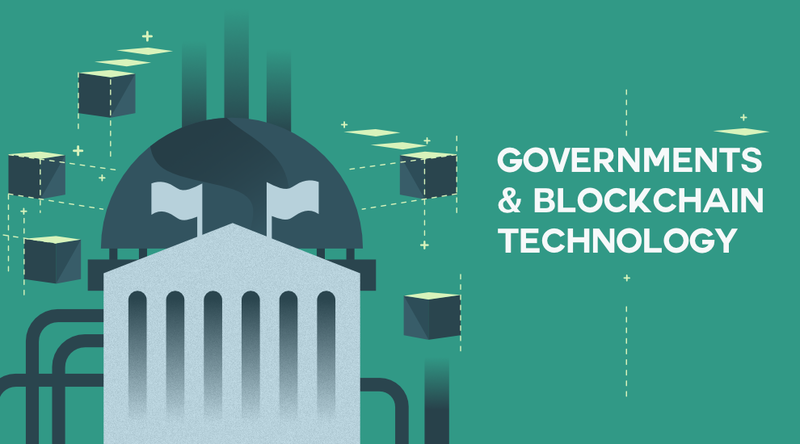 Cryptocurrency and blockchain technology could save governments. Join the train and be part of the first to tell the government what they are missing. Get informed about the latest news and trends which are verified, real, authentic, and written by professionals. Buy the TCAT token to show your support of the fight against fake news.